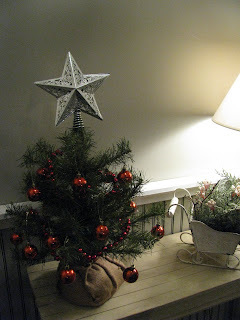 JOYS OF HOME: How Does Your Tree Stand? 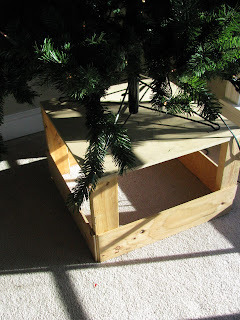 How Does Your Tree Stand? you'll have to come back tomorrow to see. WOW...Joy you really do have some neat and pretty trees! My goodness! That's a LOT of trees! They're are so very lovely! Love the creative ways you stand your trees. My fav tree is th ekitchen one. One day I ll have a tree in my kitchen! Maybe next year. Merry Chirstmas Joy. I agree with Astrid...that's a lot of trees! They're all so beautiful too. 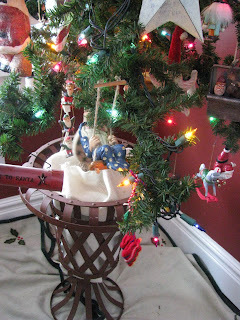 I especially love the tree in the crock. What a great idea. Hi, beautiful trees. 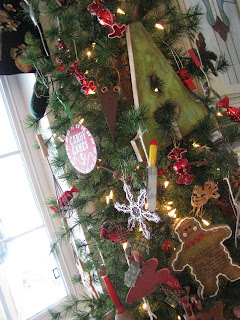 I love that gingerbread vintage tree....too cute. You have done a lovely job with all the trees.....now one more idea! 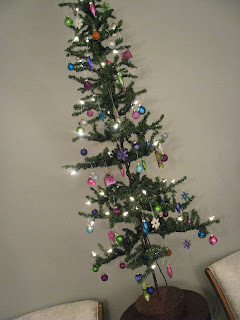 You should have a small tree that has ornaments on it that all spell "Joy"! Wouldn't that be cute. I bet people would start donating to the cause if they knew you had the tree!!!! Hope you have a wonderful Christmas! I looove all of your trees! So crative and fun! Joy, these trees are really cute! Love the crock! I like that Charlie Brown "orphan" one, too. Love ALL off your trees:) Merry Christmas!! 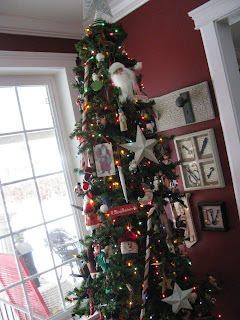 Love how festive each tree is and has its own special place! 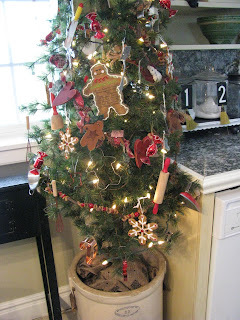 I have a kitchen tree too and I can't wait to add to it. So.much.fun! 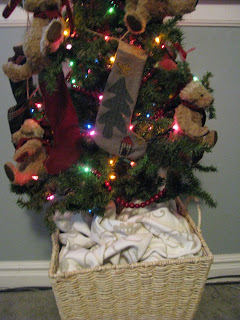 Next year each kiddo will have their own too and I can't wait! I love the plethora of trees! Is this something that comes with time? I just have two right now an I feel like I need more! LOL. One for each room! 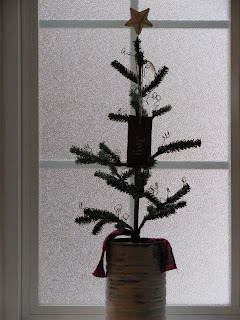 I love the simplicity of your tin can tree stand in the bathroom. That little orphan tree is the best! Happy Holidays! WOW you have so many trees and they are all so gorgeous! Can't wait to see about the box. So many neat and unique ideas! Love all the different trees. I love all of your trees!! They're beautiful. We just half one tree that's only decorated half way down. My 2 year old kept bringing me ornaments from the tree and rather than driving us all crazy by putting them back on over and over again I just left them off. 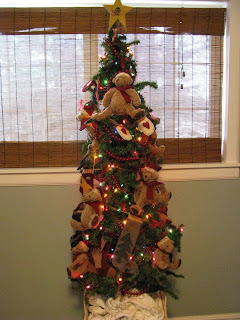 Next year might be the first year (in 5 years) we have a tree decorated all the way down :). Thank you so much for the wonderful pictures of your home. It is simply beautiful. merry Christmas and Happy New Year to you and your family. Holy cow how long does it take for you to put up all of those trees? We have one, aren't we the biggest slackers ever? 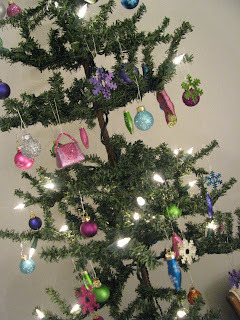 You definitely take the prize for most trees and artfully displayed!